BoxBrownie.com – How Can BoxBrownie.com Help Boost My Real Estate Marketing? How Can BoxBrownie.com Help Boost My Real Estate Marketing? Photos are your best real estate marketing weapon in this digital age. Using professional quality images are statistically proven to generate more interest in a property. In this article, we’ll talk about the different real estate tailored photo edits that we offer and how they can be used to boost your real estate marketing. Virtual staging is a popular editing option where furniture and decor are to digitally added to your images. Empty spaces can now be easily transformed into stylish rooms to boost the potential of your property. Image 1. Virtual staging is a popular edit that transforms empty rooms into spaces your buyer can visualize living in. Transform areas including living rooms (as shown above), bedrooms, outdoor entertaining areas and more. This edit is US$32 per image with a 48-hour turnaround. With image enhancement, the end result will ensure your listing has that wow effect; to boost buyer interest and solidify your branding. Image 2. Underexposed exteriors with harsh shadows are common when shooting. Easily correct shadows, lighting, and horizontal and vertical lines, as with the above photo, using our image enhancement. Image enhancement is only US$1.60 per image with a 24 hour turnaround time. Gloomy sky? No sunset? No worries! Our ‘Day to Dusk’ edit is where we transform a normal day shot into twilight. Using a twilight shot as your hero shot for your listing has been shown to generate 4 times more clicks in your MLS listing (according to the National Association of Realtors). Dusk can be a notoriously hard time to capture with unpredictable weather, minus the waiting and professional photography fees. Simply take a day shot of your property and we’ll turn it into the perfect twilight hero shot your listing needs. Image 3. Day to dusk edit is a popular hero shot in MLS listings. It captures a dramatic and compelling photo of your property in realistic sunset hues for only US$4. Turnaround time for this edit is 24 hours. Item removal (also known as a ‘digital declutter’) is where unwanted items are virtually removed from a space. This edit is perfect for ‘cleaning up’ unwanted mess in tenanted properties or even when there is an item that can’t be moved from the shot (like a skip bin). Image 4. Messy rooms look unprofessional in listings. With our item removal, you can easily tidy up to help your spaces look more spacious and presentable. You can avail this edit for only US$4 for 1 to 2 images and US$8 for 3 or more items in a 24-hour turnaround. Virtual renovation is our newest product where a space (exterior or interior) is digitally transformed to show the potential of a property. This edit is perfect to help buyers visualize what a space could look like if it underwent a renovation. The virtual renovation edit is fully customizable - you basically choose from a range of edits that you would like to apply to your image. You can virtually paint walls, add or remove walls, add furniture and so much more! Please note that it is important to disclose if an image has been virtually renovated and that it has been included for illustrative purposes only. Image 5. Virtual renovation creates digitally remodeled spaces complete with furnishing and additional areas, depending on your customizations. From the image, you can see a professionally fashioned lounge, kitchen, and patio. Prices per edit range from US$2.40 to US$64. Expect your product within 7 to 10 business days upon order. A render is where we take a builder’s file and transform it into a photorealistic image of your property. Renders are perfect for those selling off the plan as they act as a fantastic visual aid to help potential buyers visualize what the finished product would look like. We can digitally create both interiors and exteriors spaces, all we need is a .dwg file or .pdf file (with a floor plan and elevations). Image 6. CGI renders are where we take a builders file and transform it into a photorealistic image that is ready for marketing. Perfect for those selling off the plan. Product prices range from US$280 to US$480 with a 14 business day turnaround. Our floor plan redraw service is where we take an existing floor plan and transform it into a visually appealing floor plan ready for marketing. Buyers deem floor plans as the best way to understand room layouts and flow of spaces and have been statistically proven to increase buyers interest. This edit comes in a range of styles including 2D black and white, full color, or textured; 3D full color; and floor and site plan combinations. 10 REASONS WHY YOUR NEXT LISTING NEEDS A FLOOR PLAN Image 7. Our floor plan redraw service recreates your properties into more visually appealing digitized versions of your original plans. In the top image, you can see a drastic change from a scrappy-looking plan to a 2D textured floor plan. This edit offers different layout qualities priced from US$24 to US$32 with 24 to 48-hour turnaround. You can find several other edits in our service menu like aerial editing, portrait retouching,360 image enhancement, 360 virtual staging, background removal, development site plans, and other custom jobs. Below are some examples of these edits. Image 8. An example of another edit we offer; aerial editing color fade. Perfect to show to buyers where the property’s boundary is. This edit range is US$2.40 with a 24-hour turnaround. We also offer other types of aerial edits as well which can be found here. Image 9. Portrait retouching is another service we offer guaranteed to make you look your best in photos. 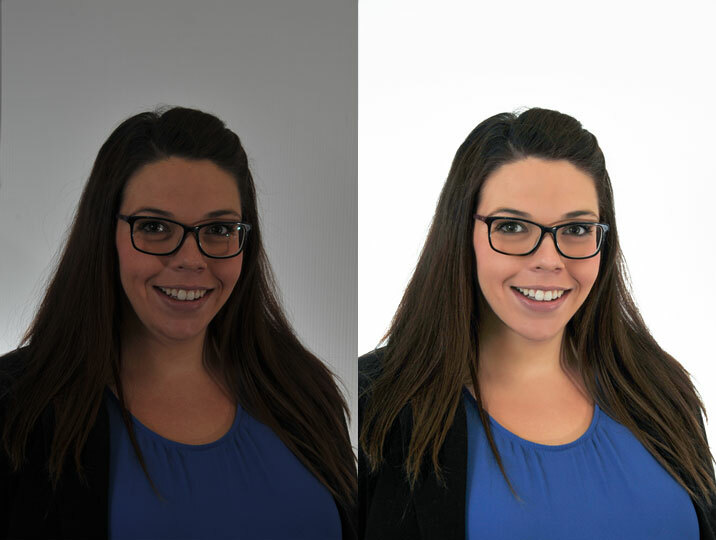 For only US$4, our team will employ advanced image enhancements techniques to remove blemishes, balance tones and correct shadows to produce a professional headshot in under 24 hours.